Mari Carmen Aponte, the Obama administration’s top diplomat for Latin America, will leave the State Department this week having shattered a glass ceiling and overcome suspicion about her loyalty to the United States. Before becoming assistant secretary of state for the Western Hemisphere last May, Ms. Aponte served as ambassador to El Salvador, the first Puerto Rican woman to serve as ambassador. 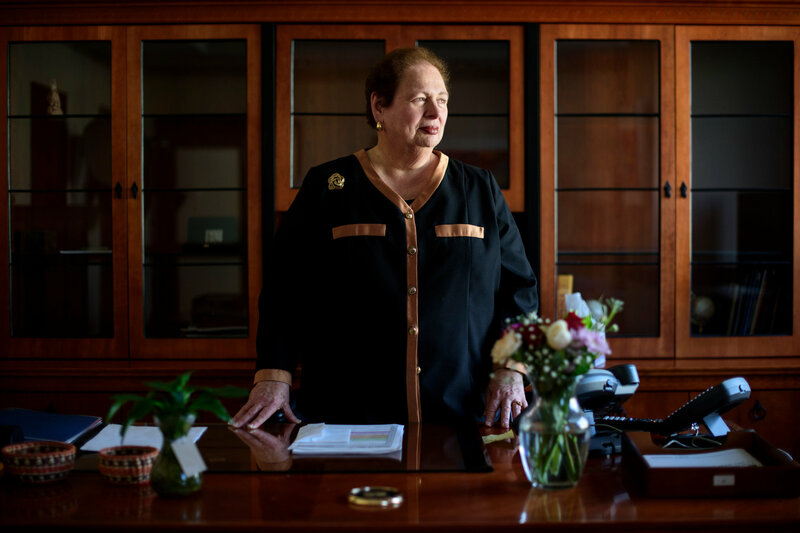 In a recent interview in her office, which has been condensed and edited, I asked her about the Obama administration’s legacy in Latin America, her close friendship with Supreme Court Justice Sonia Sotomayor and her advice for the Trump administration on relations with Latin America. Tell me about your childhood in Puerto Rico and why you left. My parents put a lot of emphasis on education. They understood that women of my generation tended to get married and that would become their destiny. They made it clear that I had other options and that I could attain those through education. Your first government job was at the Department of Housing and Urban Development during the Carter administration. What memories do you have of Washington then? What I remember most saliently from that era is how few Hispanics there were in Washington. There were even fewer Puerto Ricans. Your friend Justice Sotomayor was criticized for using the term “wise Latina” when she was nominated for a seat on the Supreme Court in 2009. What does that term mean to you? One of the attributes Latina women have is patience — a lot of patience. And we don’t give up easily. If I were to think back at all the rejection I endured when I was studying law, and later, when I went out to look for work and couldn’t get work as a lawyer, the only work I was offered was as a lawyer’s assistant, at the time, that hurt a lot. I decided that I could sit down and cry about it or push through and continue looking for the kind of work I knew I was capable of and the kind of work I ultimately got. Consistency, firmness of purpose and patience is something I see in all my contemporaries. How did you befriend Justice Sotomayor? In 1981 the Puerto Rican Legal Defense Fund was looking for female lawyers for its board of directors. Sonia was already on the board and she called me. There was great affinity between us from the first conversation. I remember having conversations with Judge Sotomayor about the Supreme Court and whether we’d live to see a Latino — we always assumed it would be a man — on the Supreme Court. Sometimes we’d say it seemed plausible and other times we were certain it was impossible. President Bill Clinton nominated you to serve as ambassador to the Dominican Republic, but Republicans questioned your fitness for the job. What happened? That was a period of my life in which I found myself in the middle of a controversy that was totally unexpected. The allegation was that I had had a boyfriend who had been in contact with Cuban diplomats in Washington. The charges were false. It was said that he was a spy, that I was a spy. I socialized with some Cuban diplomats, but that was all, nothing more was ever mentioned because I wasn’t even an American official then. But I learned something very important during that era. It doesn’t matter what accusations are made or what is said. If it’s false, you have to remain steadfast and not try to defend yourself detail by detail. I couldn’t let those false allegations become an obstacle in my life. In 2012, after a long confirmation battle, the Senate gave you the green light to serve as ambassador to El Salvador. What was the hardest part of the job — and what was the most fun? The hardest part was trying to find consensus and common ground between a fierce opposition and a government that had just gotten to power after waiting for their turn to govern for 20 years. The most fulfilling part was going out to rural areas in El Salvador, visiting women who were working on projects to provide for their families and hugging these women, women who were my age but looked a lot older because they were missing teeth and had wrinkles — consequences of poverty. Mexicans are deeply worried about Donald Trump’s election. What advice do you have for them and for the people who will soon occupy your office? Mexico is an extremely important partner of the United States and that partnership needs to be safeguarded. We have extraordinary levels of cooperation, but that doesn’t happen magically. We can’t assume that the government of Mexico will do what we want when we want. The Mexican government for instance is doing extraordinary work in curbing the flow of undocumented migrants headed to the United States. That doesn’t come out of thin air. It requires constant work, relationships and training. Central Americans, including unaccompanied minors, continue to come to the United States in droves. Can a wall stop them? I’m convinced to the core that the only way we can stop this undocumented migration is by making the lives of people in El Salvador, Guatemala and Honduras less violent, with more opportunity and stability. It will be very hard to address this in the short run. Even as we seek to halt undocumented migration, we need to invest in those countries.